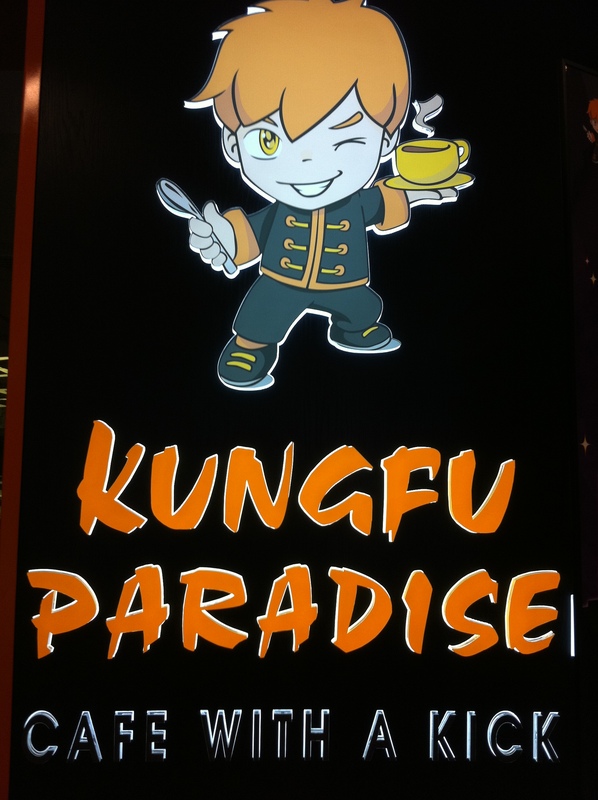 Kungfu Paradise - Cafe with a Kick??? We went to the restaurant with about seven minutes to spare (I wanted the 50% cake :P). So we took our time to look at the menu. It was a brightly lit, cheery place and the staff there would shout ‘Welcome, disciple!’ when someone enters the restaurant. It may sound weird but it is in line with the theme of the restaurant, or at least, the name of the restaurant, Kungfu Paradise. But then, it would’ve been more polite to address their customers ‘Masters’ instead of relegating them to being just ‘disciples’! Back to the restaurant. The staff, just like those in the Old Town White Cafe restaurant, were mainly Filipinos. You would think that we, the Singaporeans, are the minority in our own homeland what with all these establishments choosing to employ foreigners. They keep saying Singaporeans wouldn’t want such a job but the truth is that they’re paying peanuts that would mean more to the foreigners (Filipinos, Chinese PRCs, Indonesians, etc) than to a Singaporean who is already struggling with the high cost of living here. Moving away from dangerous grounds (don’t want to rant since I had already ranted on the public transport today), let’s talk about food now. 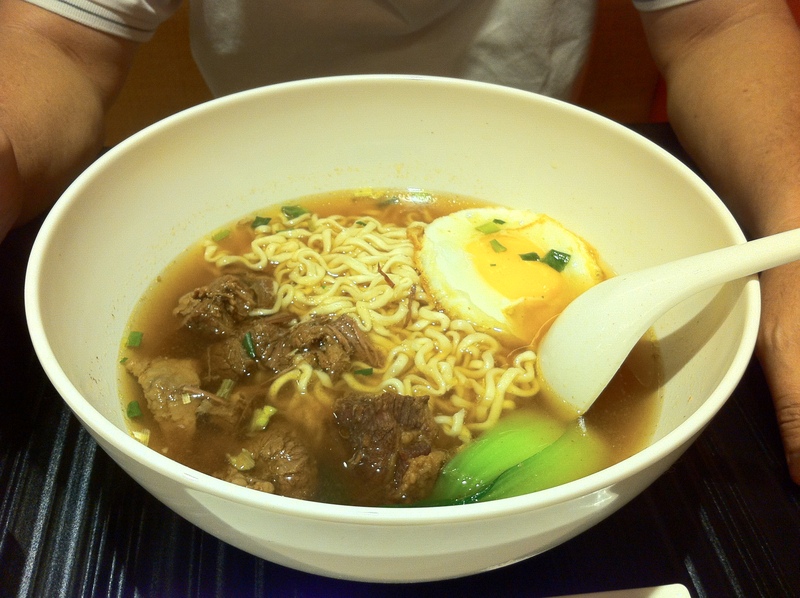 Hubby ordered a bowl of beef brisket soup noodle and a Kungfu Style coffee. Hubby didn’t like the texture of the noodles. 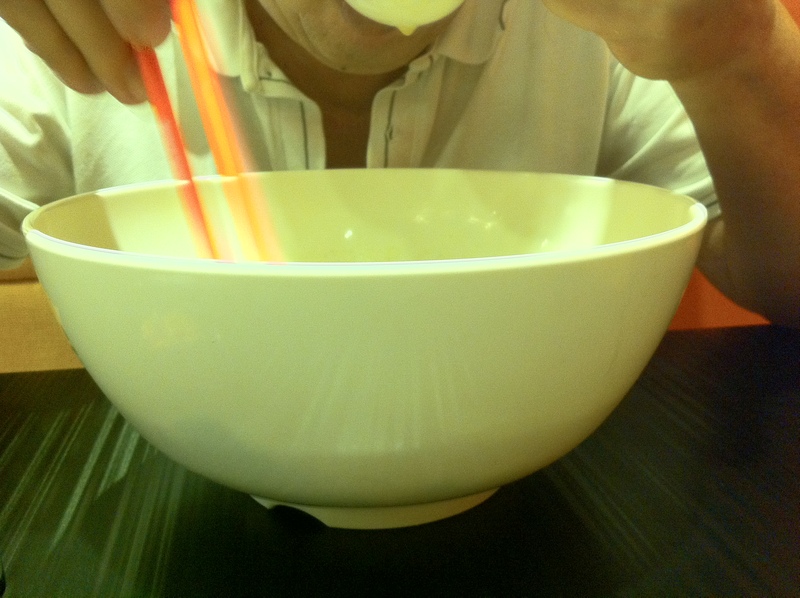 It’s like the thicker Korean instant noodles, a little too hard for his taste. The beef, he said, could’ve been more tender. 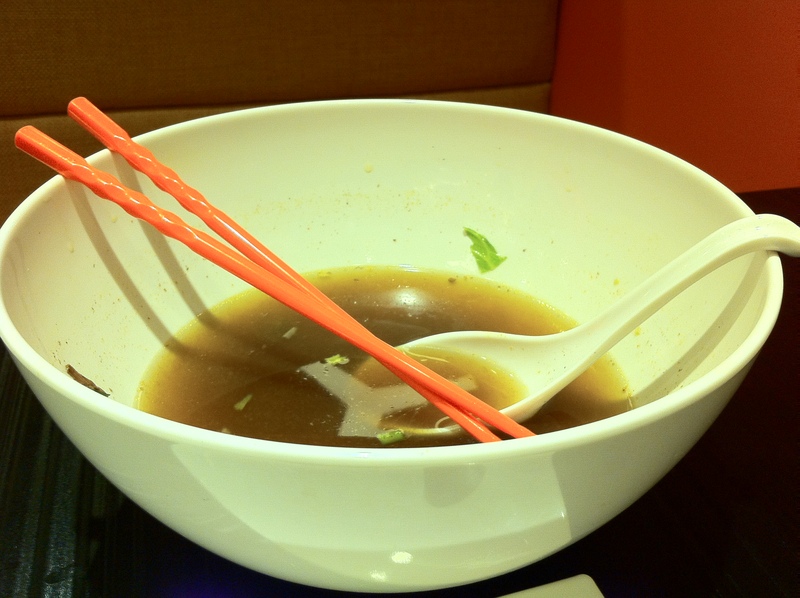 The soup base, however, was just right, not too bland or too salty. I tried the soup and thought it was good too. The coffee was nothing special at all, even though it’s stated as their special coffee. 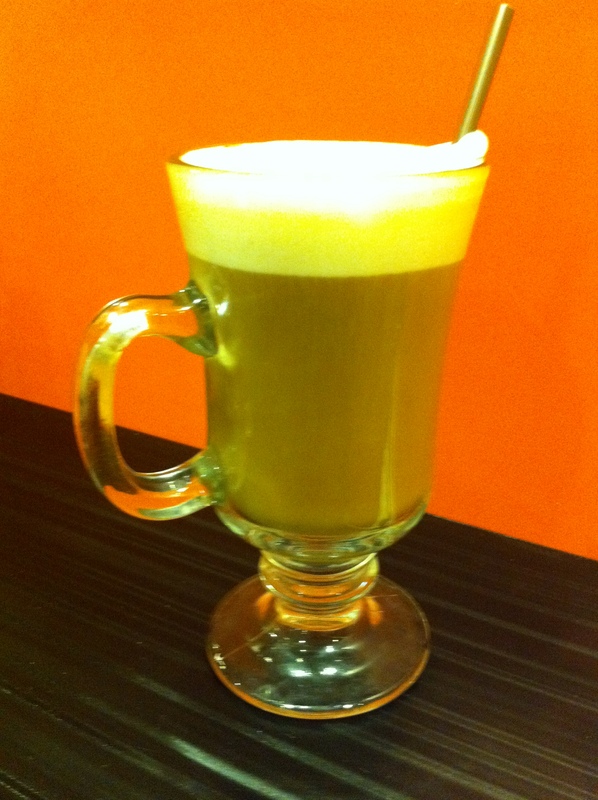 It’s just local coffeeshop coffee (coffee powder blended with corn) with frothy milk. Too thick and bitter for his taste. I didn’t like it either. 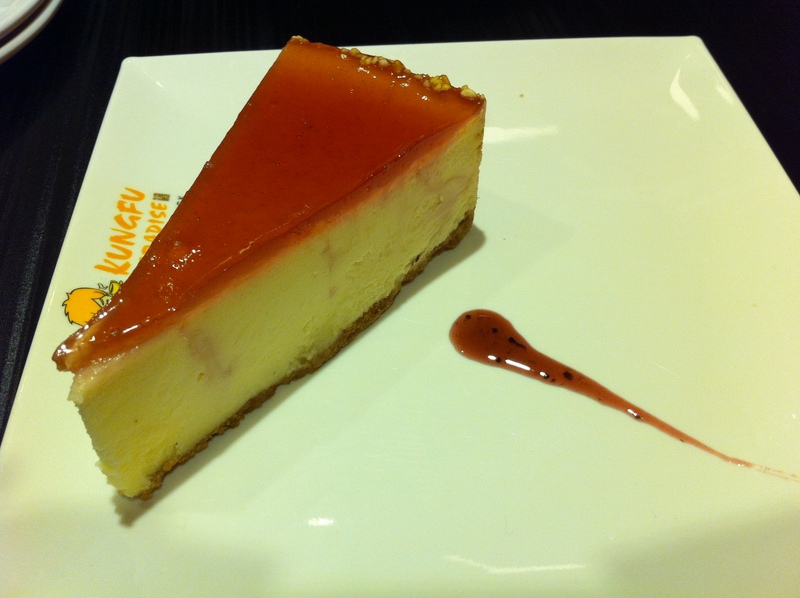 As bad as the one from Old Town White Coffee. Now, the custard buns are like the chocolate lava cake, except that it’s a Cantonese dim sum with a creamy, milky, salted egg filling. 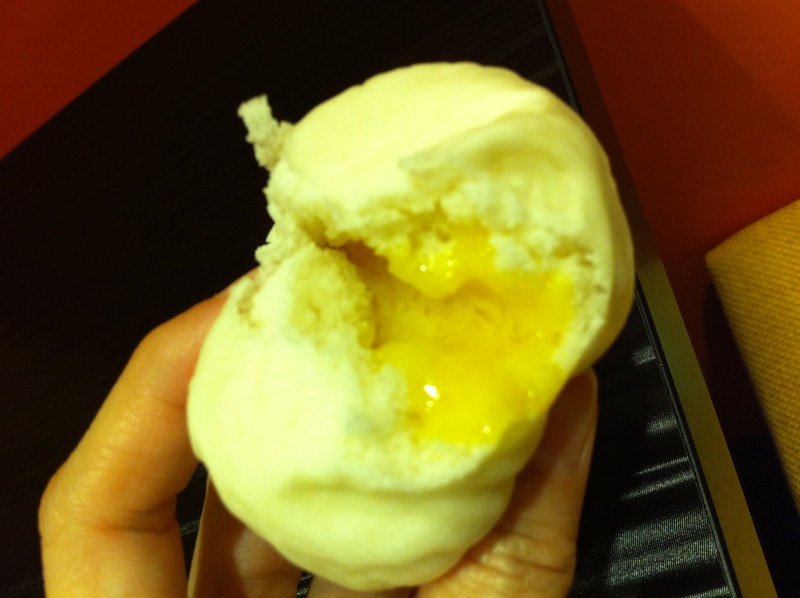 It is steamed, making the buns soft and the custard inside moist. The trick to eating this and not squirting yourself or your companion with the hot custard filling is to turn it over and break it up from the bottom. Be careful not to let the custard drip onto your hand because it’s very hot. 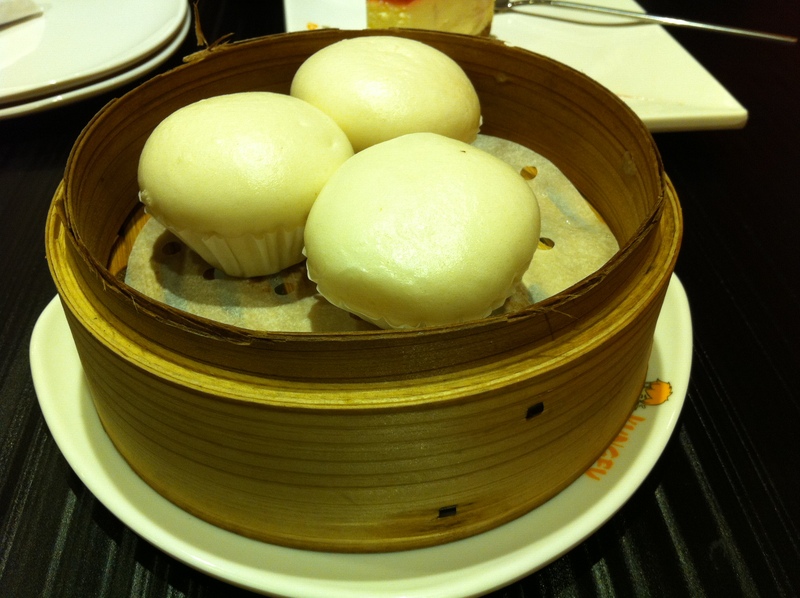 The buns here aren’t soft enough but the filling is smooth and not too salty or sweet, just nice. The honey lemon drink was too sour for my taste. I wanted tea, but they only had Lipton tea, not my favourite. Coffee at such late hours will keep me awake throughout the night. Ordered a Mango Thai Chicken rice with a sunny-side up to go for son. He lapped it all up so it must be good, or it just meant he was hungry since it was so late by the time we got home. We probably would never go back there again because hubby ended up with a stomach upset throughout the night, going to the loo four times before I woke up the next morning and gave him two charcoal tablets to stop the ‘flow’. We almost didn’t make it to son’s birthday lunch that day. 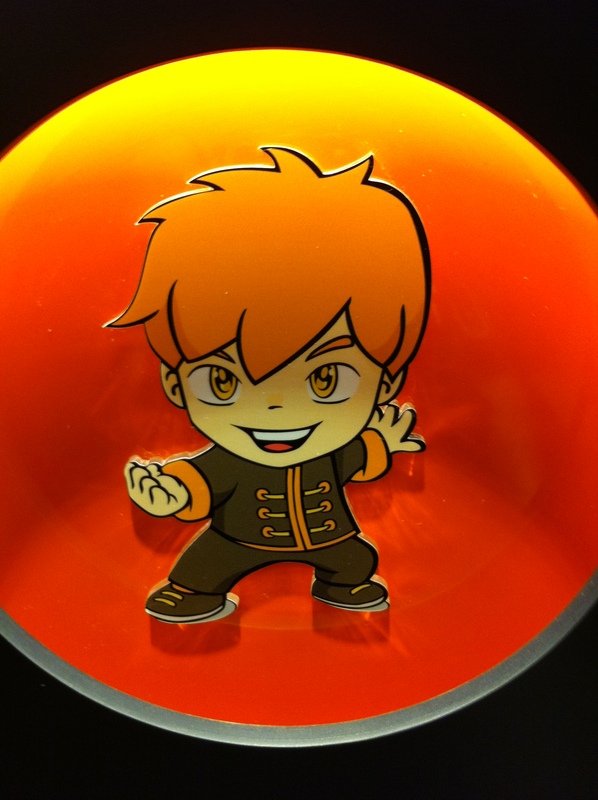 Kungfu Paradise – cafe with a kick? A kick to the stomach perhaps! Luckily he recovered well enough to enjoy a sumptuous Japanese meal in a hotel. Thank goodness hubby always reminds me to take pictures before he digs in, knowing that’s what I would want to do. But sometimes his patience can run a little thin…especially when I’m not fast enough! I’m a foodie in any country so please feed me again with another blog. Right! 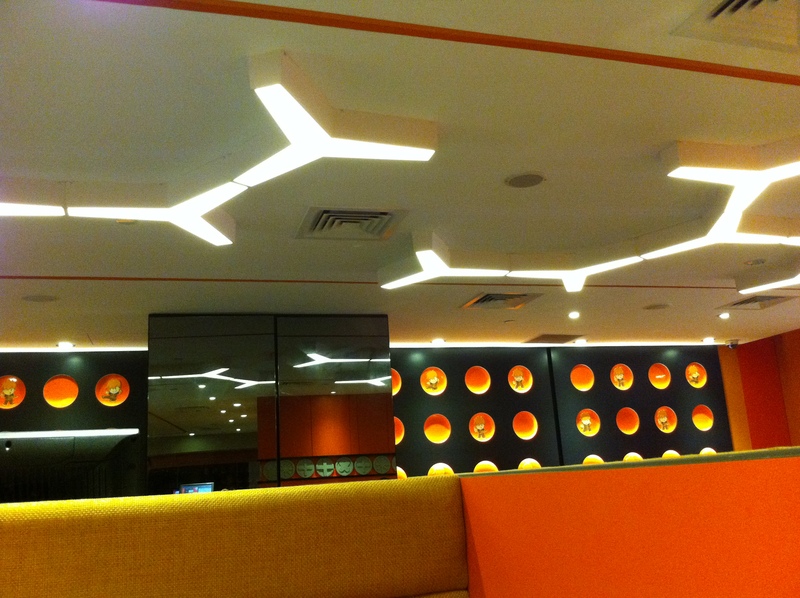 Next one up is Japanese cuisine…but that will have to wait.